Charming, lively, unforgettable! These are the perfect adjectives to describe Positano. It's prestige depends on various reasons. First of all the unique placement of the houses - set like a natural amphitheatre-, and of course the heady scents and colours of the flowers. 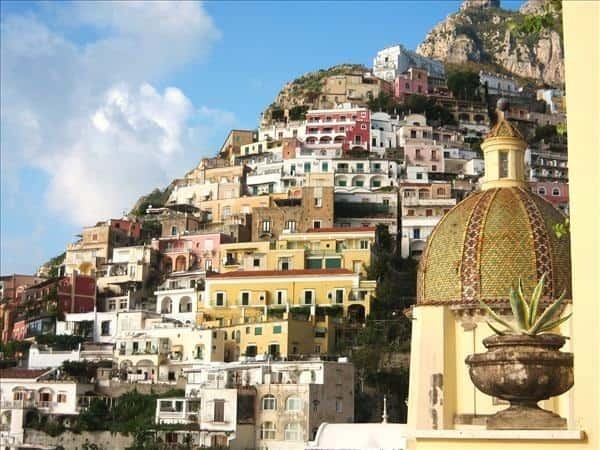 When you reach the main square, after having walked through the narrow streets and the so called "scalinatelle", your sight will be captured by the deep blue of the sea and the sky, and suddenly you exclaim delighted: "I'm at Positano!". 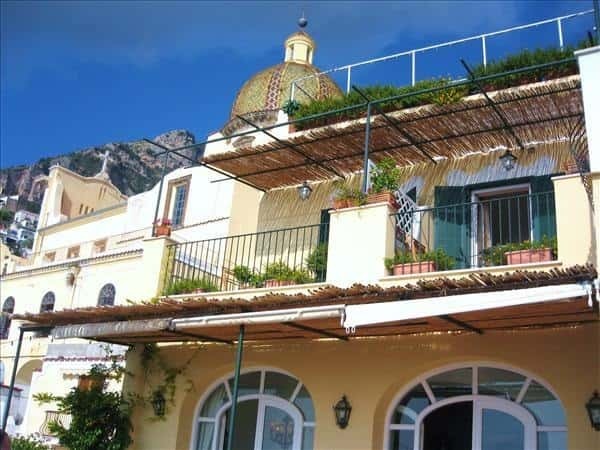 If you are looking for an hotel which combines a breathtaking view and fantastic food, if you don't want to take a risk, follow our advice and book directly at "Buca di Bacco" Hotel: it is located at the centre of the town, behind the Church of St. Maria Assunta, surrounded by the typical bright coloured houses of Positano, in front of the main beach. It is a perfect combination of hospitality, professionalism, refined furnishings and superb cooking. Last November we spent a week-end at the Hotel "Buca di Bacco" a few days before the winter closure (from November to February). The buffet to celebrate Mrs Carla Risposli's name day (one of the owners) was superb. It included a vast choice of food, from the appetizer to the dessert. The kitchen staff, headed by the executive chef Andrea Ruggero, prepared with great care some of the best Italian recipes (and, especially, Neapolitan). The evening, successfully organized by Mrs Carla, Mrs Marianna and Mr Salvatore Rispoli, was made even more special thanks to the live music played by the "Anema e core" trio from Capri, with a repertoire of Neapolitan songs. The location of the hotel is absolutely enviable! It seems that you can touch the sea and "Li Galli" island -where sirens lived, according to the legend - from your room terrace. 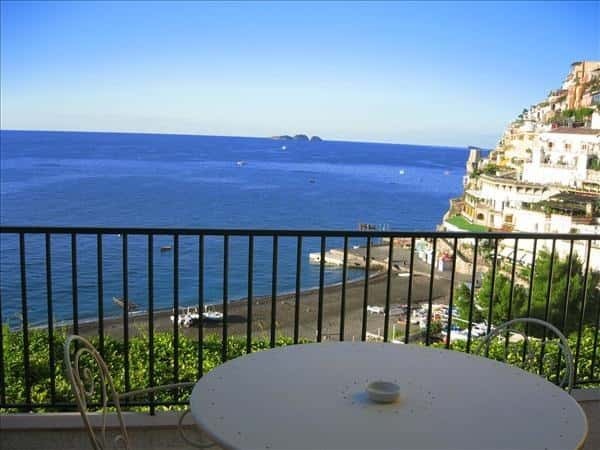 Positano enchants the tourists at the first sight with its flavours and liveliness. Could it be a sirens' spell?